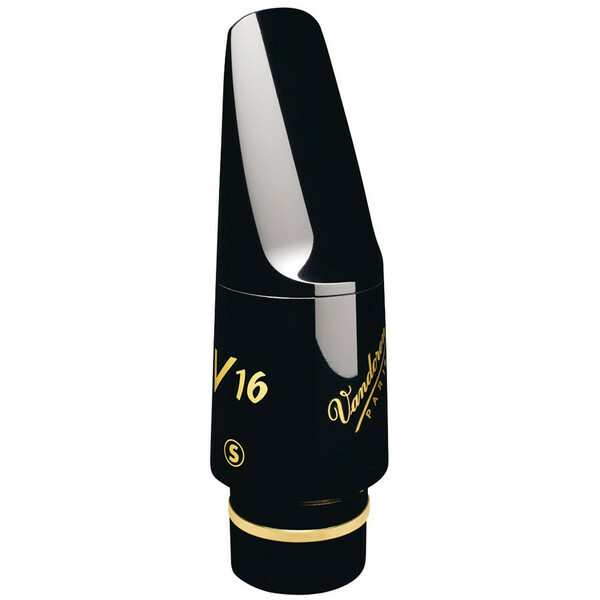 The Vandoren V16 A6S Alto Sax Mouthpiece is the most popular generic Vandoren mouthpiece available. It offers a huge versatility in genre by enabling the performer to adapt to any piece of music through just one mouthpiece. Its well made design and shape make it a mouthpiece favoured by many saxophone artists. The S stands for small chamber, enabling this mouthpiece to cut through easily for the soloist big band player. For more information on Vandoren V16 Saxophone Mouthpieces, please refer to the PDF below. V16 Mouthpieces have been adapted for the saxophonist that requires a dark and deep tone from their jazz playing. With this wonderful tone, the performer will also get fantastic intonation and clear articulation. It is recommended that for optimum performance and sound that Vandoren V16 or Java reeds are used with this mouthpiece. A medium sized lip opening of 1.96mm and a medium long facing opening provides the performer with the perfect combination of all aspects when considering a mouthpiece. For this reason it is the most played Vandoren mouthpiece in all genres. It is recommended that Vandoren V16 3 or 3.5 reeds are the most appropriate to use with this mouthpiece.